You may experience a “Profile Not Found” error if you're forwarding your domain to your LinkedIn profile. This is due to a change in the LinkedIn profile URL format. 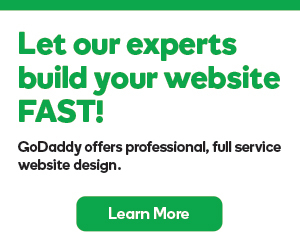 Unfortunately, GoDaddy can't fix this for you because it involves logging into your LinkedIn profile. To resolve this error, you'll need to manually update your LinkedIn profile URL in the Domain Manager. Here’s how to find and copy your new LinkedIn profile on your mobile device or desktop. Open the LinkedIn mobile app and log in. Click the Profile icon and scroll down to the Contact section. Under Your Profile, copy your profile URL. Click Profile in the top navigation bar. Under your profile photo, copy your profile url. Now that you've copied your LinkedIn profile URL, you'll need to update the LinkedIn profile URL in the Domain Manager. Type your domain name in the box below and click Submit. Click the resulting link to go to the Domain Manager where you'll paste your LinkedIn profile URL. That’s it! In a few minutes your domain will again be correctly redirected to your LinkedIn profile.